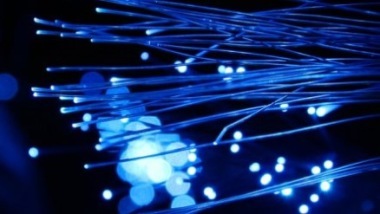 One of the EU's designated areas for enabling technologies is photonics. It is based on the use of light of various forms, e.g. radio waves, UV, IR or visible light, radar, x-ray, etc. and can be used in many different contexts, e.g. for instrumentation and sensor technology for production control, non-destructive testing, material technology, marking, monitoring, vision systems, measuring and analysis instruments, tool and machine manufacturing, digitization - industry 4.0, automation, additive manufacturing, optical components and systems, etc. Your company can have room for presentation of a challenge or solution that you have and which can be linked to photonics-based techniques. If you are suppliers of equipment, there are opportunities for contacts with customers - or vice versa! Or why not just come in and listen to what is happening in the area? Possible applications and needs for photonics in steel and metal related activities Jan Kokk, Sandvik SMT and Saed Mousavi, SSAB. Pär Kierkegaard, Shapeline, tells about the possibilities of using laser technology to measure dimensions or shape and how this can be linked to process or quality control. Radar company Patrik Ottoson shows how radar technology can be used in various applications. Workshop with discussions on business opportunities for small and medium-sized companies. Do you have a challenge or technology where photonics can be linked to solutions, products, processes or service? Welcome to bring your own ideas! For those interested: Study visits to Swerim, Kista, April 12. Resource eg. for metal-related analyzes, projects and test beds. See program below! NOTE: Discussions and presentations are in English! In-depth presentation of methods at Swerim based on photonics, eg. LUSH, LIBS, spectrometry (? ), Applications (AM-3DP), other, possibly. open projects for the development of methods and applications in steel and workshop technology. Possibility of in-depth discussions on specific ideas, etc. Display of lab with emphasis on the above mentioned, and a "quick look" on other resources. Coffee at the appropriate time. Triple Steelix participates as a partner in the COSME project PIMAP, which is aimed at small and medium-sized companies who want to find new opportunities in a global market. Via the PIMAP project, which is a test of a concept for supporting small and medium-sized companies that want to grow internationally, there are also opportunities for discounted participation in fairs, currently focusing on markets in the US and Canada.